Cape Town - SuperSport United chief executive officer Stan Matthews says the club will spend the money saved on Thuso Phala's terminated contract by handing out new deals to star performers. 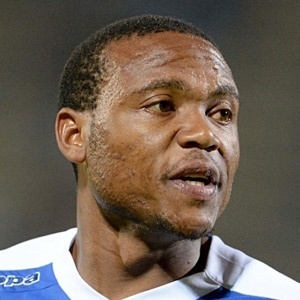 Phala recently left SuperSport in acrimonious circumstances following a series of disciplinary infringements. The winger was the highest earner in the club's history but appears to have lost his discipline after serving Matsatsantsa with distinction since 2013. The 32-year-old helped the team win two Nedbank Cup crowns as well as a Telkom Knockout, and an MTN8 success in 2017. He was also a major part of the team that were losing finalists in the 2017 CAF Confederations Cup in 2017 to TP Mazembe. According to the Sowetan, he was earning around R250 000 per month and Matthews has since told the publication that the money saved by terminating his contract will be spent on improved deals for other players. He said: "First of all, with some of that money I want to look after the high performers in the team. Players like Ronwen (Williams), Teboho (Mokoena) and Aubrey (Modiba) deserve improved packages. "Only after that can we go out in the market and look to spend on reinforcing the team." He added that SuperSport's transfer dealings would be relatively modest in the next transfer window, concluding: "We are not going to be big spenders. In June we will not be too busy...we will only be looking for a striker and a left-back. "Our strategy will be the same one we used to get Jeremy (Brockie). We have one more spot for a foreigner, so we will get a striker. "We also need another left- back to come in as backup for Onismor Bhasera, who has been doing well for us."